A cat named Oliver is now the center of a movement in Snow Hill, with protestors outside of the court house crying foul over his death on Thursday. Protestors say Oliver was regularly fed and cared for by a local. 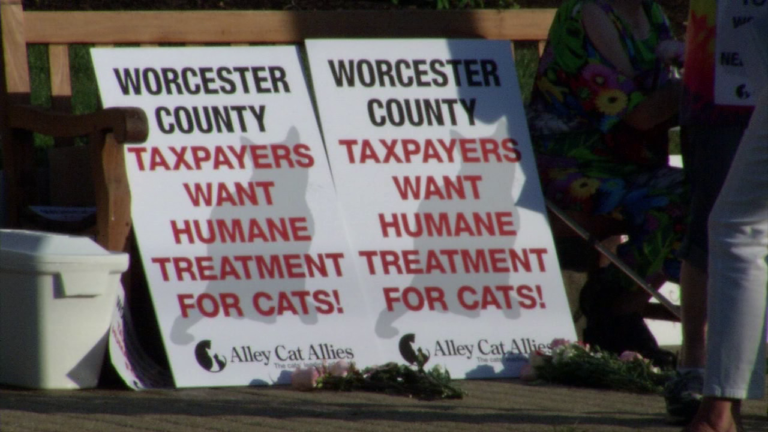 Though the cat is no different than a fox or raccoon in terms of domestication, protestors claim Worcester Co. Animal Control over-stepped their bounds when they allegedly put Oliver down on Wednesday.